Today, I’m going to talk about another way how to control wirelessly camera focus. This is very useful when you have the camera mounted on a gimbal, steadicam or jib/crane. 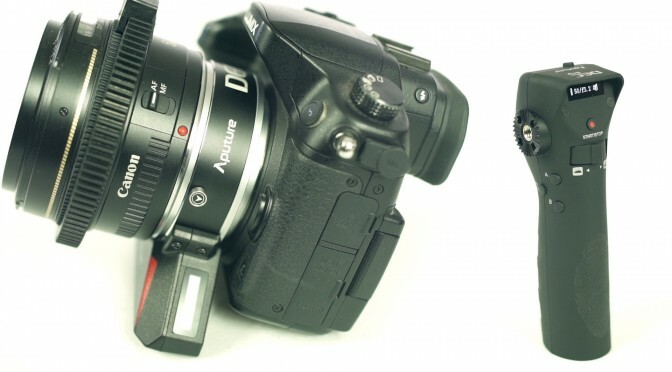 Aputure has a device called DEC Wireless Focus & Aperture Controller Lens Adapter. By using this lens adapter, you are able to control not only the focus, but also the aperture. Actually, it also allows you to start and stop the camera remotely, which I found very useful. So, the limitation of this system is that it works only with Canon EF and EF-S lenses that you will mount onto MFT-mount (ex. Panasonic GH4, BMPCC) or Sony E-mount cameras (ex. Sony A7s). In the video, I mention my DIY wireless video system. If you want to see how I set it up, please go here.